Xiaomi’s Redmi Note series of devices have been doing really well in the past few years. The Redmi Note lineup of devices has captured a whole lot of the budget segment of the smartphone market. Xiaomi has also garnered a massive fan following in several countries especially India. 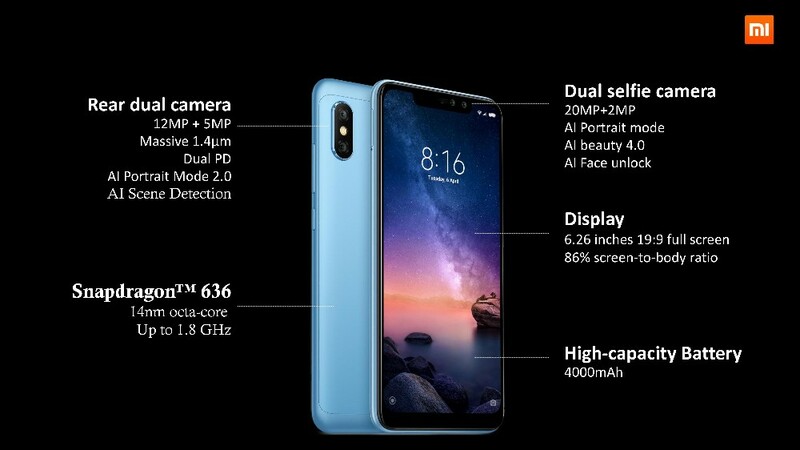 While the budget segment of the smartphone market is becoming even more competitive with new players such as Real Me which is an OPPO sub-brand as well as Honor devices launching with aggressive pricing strategies, Xiaomi now aims to hold their ground with the launch of the Xiaomi Redmi Note 6 Pro. The device shares the same internals as its predecessor, the Redmi Note 5 Pro, however, there are a few design tweaks. The Redmi Note 6 Pro now comes with the ‘notch‘ design and you might hate it or accept it as it boils down to personal preference. Even though the Redmi Note 6 Pro has just launched, there are already a few issues with the device which have been noticed by users. To be fair, almost all devices no matter how new have a few issues and bugs which usually are just issues with software and are fixed within a matter of minutes or via an official OTA update. So let’s take a look at a few issues on the Redmi Note 6 Pro and how to fix them. It seems Xiaomi still isn’t paying much attention towards the quality if displays used on their smartphones. The POCO F1 had the screen bleeding issue as well and now a few users have been reporting that the Xiaomi Redmi Note 6 Pro has the same issue too. If you too have noticed screen bleeding towards the edges of the screen, then, unfortunately, there isn’t a quick fix available for this. Since screen bleeding is caused by a hardware issue you might have to take the device to a Xiaomi service center to get the issue sorted. Most devices that come with the notch also have a feature to disable the notch and simply put a black bar over the notch area to prevent any content except for time and notifications to be displayed within the notch region. 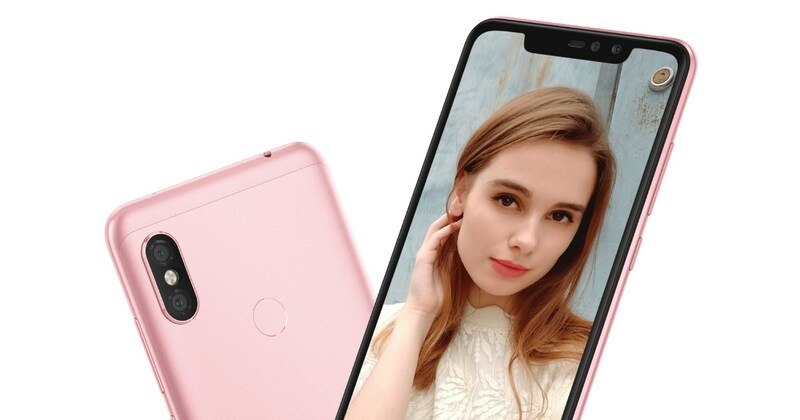 Since the Redmi Note 6 Pro supports the feature too, Xiaomi has added the ability to hide the notch, however, several users have experienced a few issues with the feature since the ‘hide notch’ feature cuts off the top portion of an application as well. Possible solution: Currently, there aren’t any software changes users can make to fix the issue. We’d suggest waiting for Xiaomi to roll out a software update to address the issue. Battery issues are fairly common and can affect almost any device irrespective of the battery capacity. A few users have reported that they are facing battery issues on their Redmi Note 6 Pro as the battery is running out of juice quickly on the MIUI 10.0.4.0 version. If you too are facing battery issues, then here are a few things to try out to possibly solve this issue. Soft reset the device. Press and hold the Power and Volume Down button simultaneously until the screen turns off. The device will reboot automatically. You will soon see the MIUI logo. If not, just press and hold the power button. Disable ‘High-accuracy’ location. In the settings page search for ‘Location’ several settings would show up in the results. Change the Locating method from high accuracy to low accuracy or simply turn the feature off until you need to use any app that requires user location. Uninstall battery draining apps. Several social media apps such as Facebook often eat into the battery life on a device, as these apps are constantly running in the background to update users on new posts, etc. This could be fixed either by disabling the app in background or by uninstalling the app and using the web version. You must look at the battery menu of the Settings app to check out which apps are draining the battery the most and then disable or uninstall the app. Perform a hard reset: Most affected users claim that performing a hard reset solved the battery drain problem so we’d suggest doing to the same if the above methods don’t work for you. Head over to Settings > Additional settings > Backup & reset > Factory data reset. Go through the warning and tap on Reset. Note: Before performing a factory data reset, you must create a backup to avoid loss of data since resetting your Redmi Note 6 Pro would wipe all files on the device. 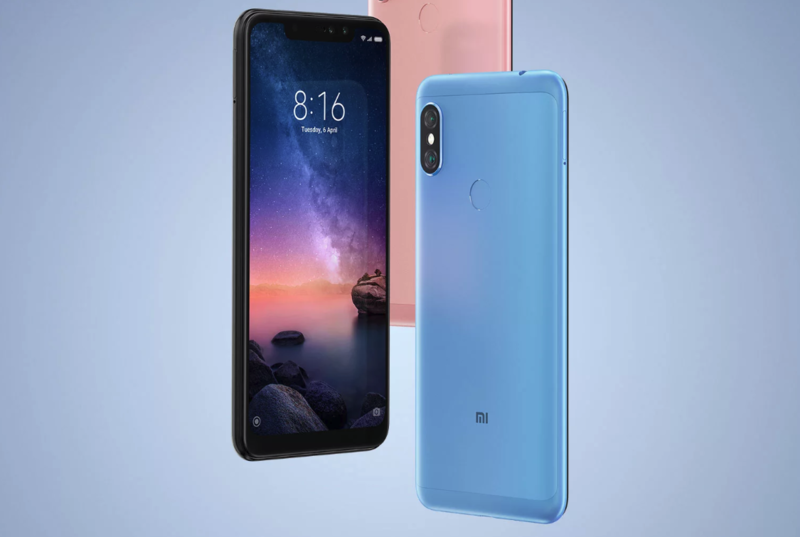 The Redmi Note 6 Pro has adopted the notch design as well, however, there are a few bugs with the software that makes the notch even more of a pain since part of the UI elements get hidden under the notch too even though that shouldn’t be the case particularly with the clock on the lockscreen. If you too are facing the same issue, then here is one thing you could try out. 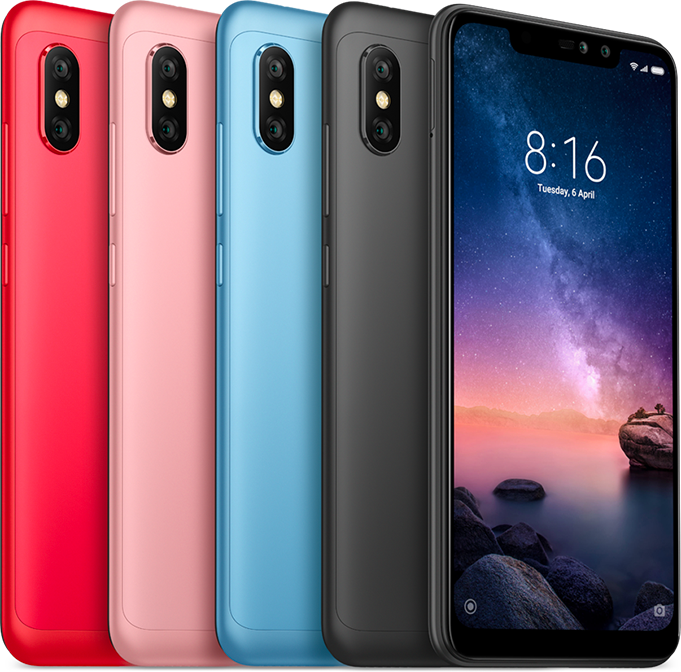 Change the theme of on your Redmi Note 6 Pro: Not all MIUI themes support the notch which is why you may find a few bugs and issues with widgets being hidden by the notch. If you have changed the theme on your device, then we’d suggest switching back to the default theme to solve the issue. If this does not solve the issue, then, unfortunately, you would have to wait for Xiaomi to roll out an update to fix the bug. More often than not you might face an issue wherein you aren’t receiving notifications for certain applications. Several Redmi Note 6 Pro users have been raising concerns that they aren’t receiving notifications. This is not uncommon and usually affects most other smartphones in the market too. Fortunately, Xiaomi has fixed the issue with the MIUI 10.2.1 update and users should no longer experience the issue. Install the latest update: Installing the MIUI 10.2.1 update should help get rid of the issue. You might want to check and see if ‘Do not disturb’ is enabled. The ‘Do not disturb’ feature could prevent notifications from creating a pop-up to avoid distractions. Simply pull down the notification shade and turn off the ‘Do not disturb’ toggle in case it’s enabled. If you use the battery saver, chances are that’s the reason notifications aren’t appearing. Simply open Settings > Battery > Power > Battery Saver > Toggle off. The battery optimization feature may also be the reason why you aren’t receiving notifications. To turn off the feature for a specific app you aren’t receiving notifications on, head over to Settings > Battery > Power > App Battery Saver > Battery optimization. If the app you aren’t receiving notifications on is listed in Optimized, simply toggle the feature off. Bluetooth pairing issues are present on most other smartphones in the market and luckily fixing these issues is fairly simple and isn’t time-consuming. If you too are facing issues while trying to connect your Bluetooth devices to your Redmi Note 6 Pro, then here are a few things to try out. One of the most simple yet effective methods to fix a bug or glitch is to reboot your device. Simply hold down the Power button until a menu pops-up and then tap Restart. After the device restarts try paring your Bluetooth device. If the device still isn’t pairing head over to Bluetooth settings and remove all paired devices. Once all the paired devices are removed from the list, try and pair the Bluetooth device to your Google Pixel 3 now. If there’s still no luck clear Bluetooth cache. To do this head over to Settings > Applications > Tap 3 dots on the top right and click ‘Show system apps’ > Bluetooth > Storage > Clear cache and data. After performing these steps you should now be able to connect to your Bluetooth device. Turn off battery optimization for ‘Bluetooth MIDI service’. Open device Settings and go to Battery. Tap the 3-dot menu present at the top right corner and select Battery Optimization. Turn off Battery Optimization for the app called Bluetooth MIDI service and the apps that you use with Bluetooth such as Play Music, Phone, etc. Identify the cause of the issue. If the Bluetooth is working alright in Safe mode, then maybe something you installed is causing the issue. So, reboot into safe mode and see if the Bluetooth is working in that mode or not. Press and hold your device’s Power button. You will get a pop up for “Power off”. Touch and hold the option Power off. You will get another pop up “Reboot to safe mode”. Tap Ok. Your device will restart and go to Safe Mode, which is identified by “Safe mode” text at the bottom of the screen. Go to device Settings and search for network settings reset. Go to the option, and use it to reset the network settings, which resets the Wi-Fi, Bluetooth, and data settings on the phone. A few Redmi Note 6 Pro users have problems while trying to connect to the Wi-Fi. Users claim that the Wi-Fi either disconnects automatically or else it fails to connect. Here are a few ways which could help fix the issue. Remove the Wi-Fi network from your device’s remembered networks list. Head over to Settings – Connections – Wi-Fi and push the Forget button on the network name that you’re facing issues with. Now try reconnecting to the same Wi-Fi network. The issue could also be with your WiFi router, so attempt a simple unplug, and then replug the router after 10 seconds for a quick soft reset. This should help sort out the WiFi issue you were experiencing. The Redmi Note 6 Pro comes with the Snapdragon 636 coupled with 4GB/6GB RAM. While the Snapdragon 636 is a fairly powerful chipset, it does not change the fact that you might face a few performance issues and lag. Luckily, there are a few things you could do to help keep your Redmi Note 6 Pro snappy and smooth as new. Uninstall Third-party Phone Manager apps as third-party phone managing apps bog down the device performance by constantly running in the background. Close apps running in the background as several apps running in the background may lead to slowdowns and lags while using the device. Restart your phone to get rid of the cached data in the system which could build-up if you don’t restart your device often. We recommend restarting your device once a week for the best performance. Uninstall apps which you don’t use and deleting any images or videos which aren’t important to you. Clearing up the device storage and having sufficient free space allows the device to function smoothly and avoid any lag or stutter. Redmi Note 6 Pro users have been reporting that while playing PUBG part of the game is hidden behind the notch, although the gameplay isn’t completely ruined. If you too are facing the same issue, then, unfortunately, there isn’t a fix for the issue yet. Xiaomi would have to roll out an update to prevent PUBG from going into full-screen mode to prevent parts of the game from being hidden behind the notch. A Redmi Note 6 Pro user reported that while playing music from the device to a Bluetooth speaker, the audio output is ‘slower’. Rather than playing at a normal speed, the audio is playing at 0.5x speed, however, this seems to be a one-off case and isn’t a common issue. If you too are facing the same issue by any chance, then here’s what you can try out to help fix the issue. Enable Developer options: Head over to the settings page and tap on About phone > Software information > Tap on ‘build number’ 7 times. After enabling developer options, go back to the settings menu and scroll to the bottom and tap on Developer options. Find the option for Bluetooth audio codec and then select SBC codec instead of the default AAC codec. You can also try the aptX codec as well or any of the others if the SBC codec does not work too. Some Bluetooth speakers aren’t compatible with certain audio codecs which is why there may be a few issues while streaming audio to a Bluetooth speaker. Some users have been claiming that their Redmi Note 6 Pro starts to lag after uploading videos to Instagram Stories. While there is no obvious cause for the problem, here are a few things you could try and do to solve the issue. Clear the app cache and data: Go to Settings > Installed Apps > Instagram > Storage > Clear App Cache/Clear Data. Reinstall Instagram: It’s possible there may be a bug within the app itself, hence you could uninstall the application and reinstall it by visiting the Google Play Store and installing Instagram again. The issue should most probably be fixed by performing any one of the two steps. The MIUI 10 Global Beta ROM has just become available for the Redmi Note 6 Pro and as expected there are a few bugs here and there, however, since it is a beta ROM we are certain that Xiaomi would end up fixing most of the issues if there’s no quick fix available yet. So let’s take a look at a few problems with MIUI 10 Global Beta ROM on the Redmi Note 6 Pro. Android Auto is a great feature to have on your phone especially if you drive a car. 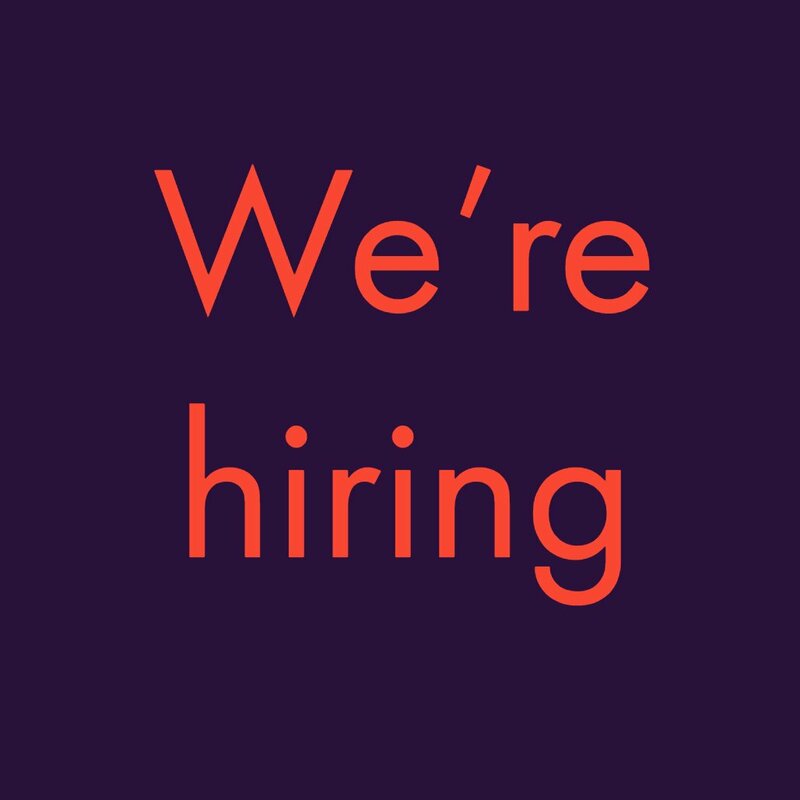 Unfortunately, a couple of users are unable to use the Android Auto application properly since the application isn’t working in full-screen mode and at times the app completely fails to register touch input although other apps work just fine. If this is the case on your Redmi Note 6 Pro after installing the MIUI 10 Global Beta ROM, then here are a few things you could try and do to help solve the problem. Clear the cache: Clear the app cache by heading over to Settings > Installed Apps > Android Auto > Storage > Clear Cache. Clear the data: Go to Settings > Installed Apps > Android Auto > Storage > Clear Data. If performing both the above steps did not solve the issue, then we’d suggest uninstalling the Android Auto app and reinstalling it from the Play Store. If none of the steps help fix the issue, then it could be possible that there must be a bug which needs to be fixed by Xiaomi or Google depending on the situation. After updating to the MIUI 10 Global Beta ROM on the Redmi Note 6 Pro, a user has reported that while listening to music by headphones using the Poweramp application the audio is automatically routed to the speakers instead without removing the headphones. If you too are bothered by the same issue, then here’s what you can try and do. Clear app cache and data: Clearing app cache and data often fixes most bugs in apps so head over to Settings > Installed Apps > Poweramp > Storage > Clear Cache/Clear Data. If you’re paired with Bluetooth headphones, then we’d suggest changing the Bluetooth audio codec. To do this, go to Settings > About phone > Tap on MIUI version 7 times repeatedly. This would unlock developer options. Now go back to Settings > Additional Settings > Developer options > Find Bluetooth audio codec and change it to aptX or any other codec to see which one works without any issues. A few users have shared screenshots regarding the bug which pops up when adjusting the volume while casting from the Redmi Note 6 Pro to a Chromecast. There seems to be an extra volume slider which is a great feature to have except for the fact that the extra volume slider seems to be cut in half with only part of the slider being visible. This seems to be a bug in the UI and unfortunately, there is no quick fix to solve the issue. Fortunately, this seems like a rare issue since we’ve only seen a single user raise the concern that after they updated their Redmi Note 6 Pro, the Wi-Fi and Cellular data keep getting disconnected automatically after every 10 minutes or so. If you too by any chance have noticed the same problem on your Redmi Note 6 Pro, then here are few things to try out to possibly solve the problem. A few users are unhappy with the navigation buttons on their Redmi Note 6 Pro since the buttons are fairly small and require precise taps to trigger the action of the button. Unfortunately, there’s no way to enlarge the navigation buttons on the device hence, however, if you’re willing to use the Navigation gestures feature, then the problem should not exist anymore. Once the gestures are activated you wouldn’t have to deal with the tiny navigation buttons on the screen, instead, you would be able to swipe up from the bottom of the device to go Back — Home — Recents menu. The smartwatch market is fairly limited currently, however, there are a lot more smartwatches to pick from these days including fitness trackers. Xiaomi too has launched their very own Mija Quartz smartwatch for users who prefer a minimal watch. Since the smartwatches are often paired via specific applications, you might encounter a few issues while pairing a smartwatch on your Redmi Note 6 Pro. The issues usually are related to the application and not the device so there’s no reason to panic. A quick update to the app from the watch manufacturer should solve the issue or else you might have to wait for an OTA update via Xiaomi to fix the issue in case the problem is due to a bug within MIUI. A few users have noticed that they are unable to see their notifications on the lockscreen on the device. The users are also claiming that the issue still persists after enabling the option to display app notifications on the lockscreen. Even though a few users are claiming the issue does not go away after enabling the lockscreen notification option, we’d suggest trying it out once since this might work for you. Go to Settings > Notifications & status bar > ‘select the app you want to display notifications on the lockscreen’ > Enable lockscreen notifications. Reboot your device: Rebooting your device is usually a quick fix for many minor issues and bugs. Press and hold on the power key and then tap on Restart. Perform a factory reset: This should be the last option since performing a factory reset would erase all data on your device. Go to Settings > Additional settings > Backup & reset > Factory data reset. Tap on Reset. 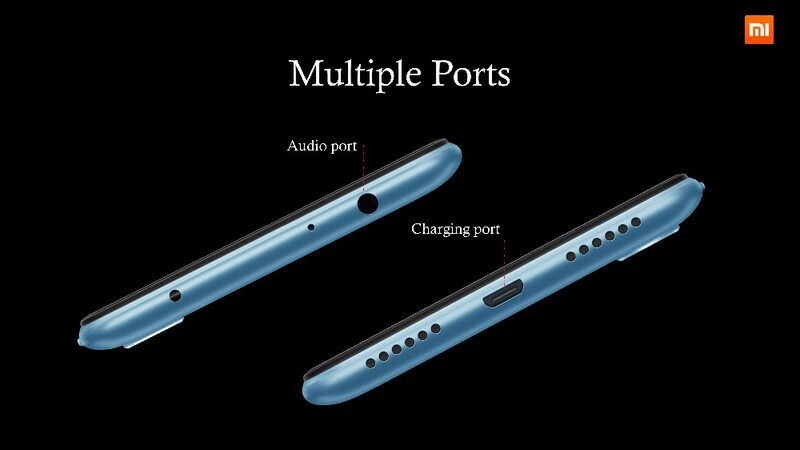 The Redmi Note 6 Pro has a huge 4000 mAh battery and does support Quick Charge 3.0, however, the included charging brick in the box is rated for 5V 2A. A few users have been facing an issue where they claim that the device takes more than 3 hours to charge which should not be the case even with the included power brick. Make sure to use to use the charging brick and cable provided within the box itself. Using third-party chargers which aren’t certified could cause permanent damage to the battery of the device. If you want your device to charge a bit faster, then we’d recommend using a Quick charge 3.0 certified power brick and cable. Try not to use your smartphone while charging since this could affect the charging speed on your device. Be sure to plug the device into a direct power outlet to avoid any slowdowns in charging speed caused by using extension boards. Having the option to cast your favorite Netflix shows to your TV is just amazing. 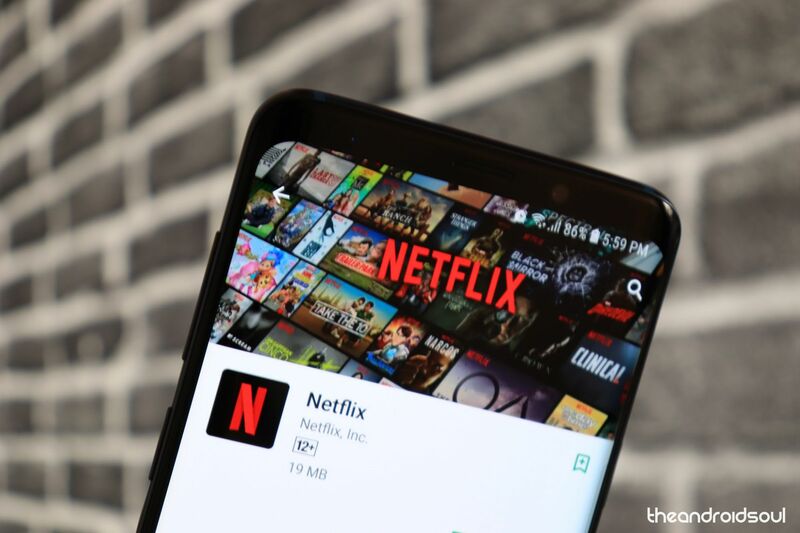 Sadly, a few Redmi Note 6 Pro users aren’t able to use the casting feature within the Netflix app on their Note 6 Pro. Double check to see if your smartphone is connected to the same Wi-Fi as your casting device. Restart the device: Restart your Note 6 Pro and try to cast via the Netflix app once again. Clear the app cache: Clearing the app cache should help get rid of any bug which might be preventing you to cast via the application. To clear the app cache, simply head over to Settings > Installed Apps > Netflix > Storage > Clear app cache. Some users are reporting various issues after updating to the 10.2.2.0 update for the Redmi Note 6 Pro. The issues include poor battery life, unresponsive screen, slow charging etc. Fortunately, this does not seem to be a common issue and is only affecting few users. 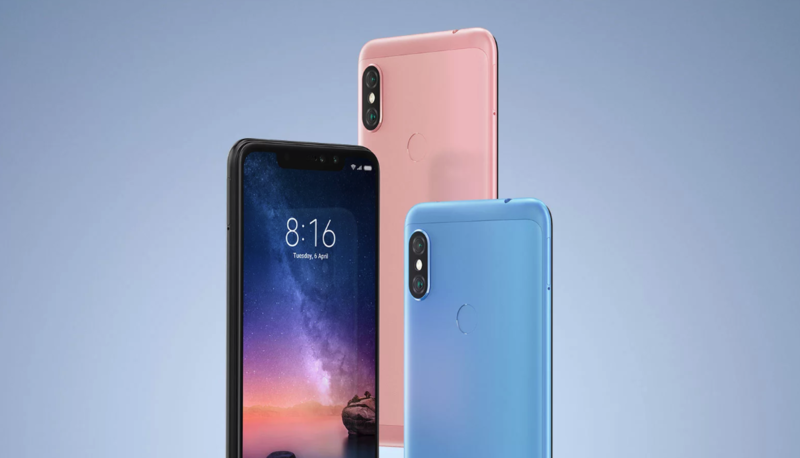 As of now, the only way to fix the issue is to reinstall the update on your device by manually downloading the latest update for the Redmi Note 6 Pro and flashing the update to the device via the system updater application. If you aren’t familiar with how to install system updates manually on Xiaomi devices, then we’ suggest checking out our article on how to do so by clicking here. Once you’ve reinstalled the update on your Redmi Note 6 Pro, the issues should be solved and the device should be running normally. In the off chance that issues aren’t solved after reinstalling the update, then you might have to visit the nearest Xiaomi service center to have the issue addressed. 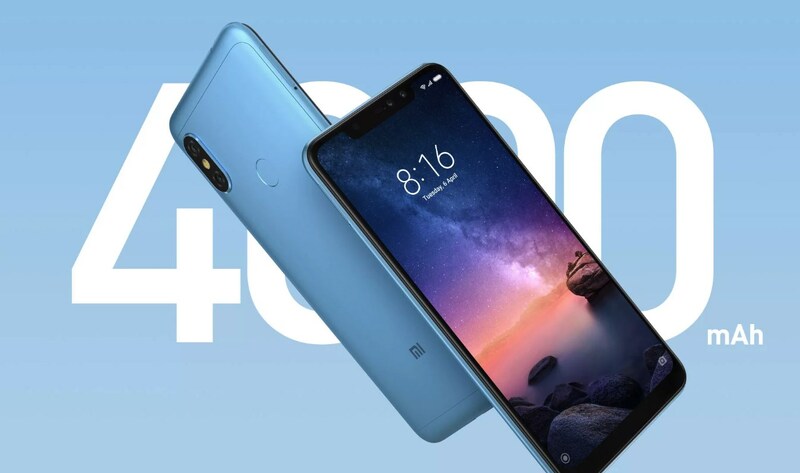 Several users have been raising concerns regarding the delayed fingerprint unlock after updating their Redmi Note 6 Pro with the 10.2.2.0 update. The issue seems to be affecting several Note 6 Pro users and could possibly be due to a bug in the software itself. If you too have noticed a delay while trying to unlock your device with the fingerprint sensor, then, unfortunately, as of now there’s no confirmed way to fix the issue. You could try performing a factory data reset on the device by going to Go to Settings > Additional settings > Backup & reset > Factory data reset. Tap on Reset. However, there are chances that this might not fix the issue since the bug came along with the update itself. Nevertheless, in case resetting the device did not fix the issue for you, then we’d suggest waiting for Xiaomi to release a quick bug fix update to get rid of the issue. Some users are reporting that they aren’t seeing the notification LED light up when receiving alerts and notifications on their device after installing the latest 10.2.2.0 update on their device. Go to Settings > Additional settings > Notification light. Make sure the Pulse notification might option is enabled on the device. Reboot the device: Press and hold the power key and then tap on Restart. It seems the 10.2.2.0 update has brought along way too many bugs and issues on the Redmi Note 6 Pro. Users have been reporting that the device seems to automatically disconnect from the network and users have been missing out on some calls and messages when the device is not in use. Reset the network settings: Go to Settings > Tap on ‘more’ under Wireless & Networks > Network settings reset > Tap on Reset.